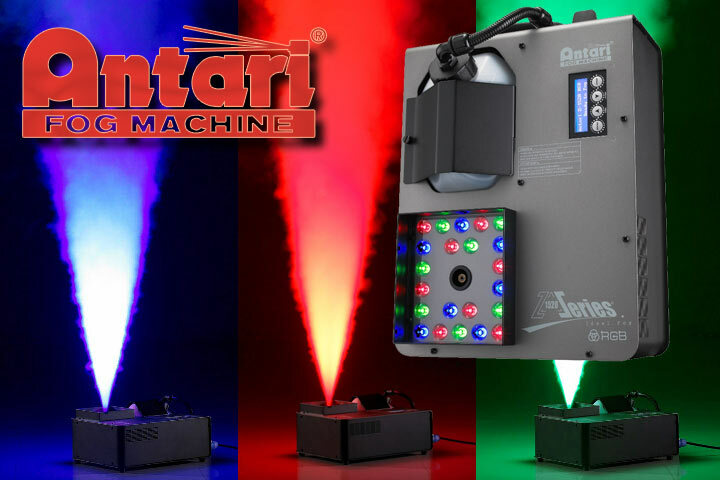 Give your next event the X-FACTOR with Antari's Z1520 Vertical Fogger! Give your next event the X-FACTOR with Antari’s Z1520 Vertical Fogger! If you’ve ever wanted to add pyrotechnic effects to your gigs, the Antari Z1520 will give you that effect without messing around with special permits, pyrotechnic gear or gas cylinders. The Z1520 is a vertical fog machine that shoots fog 5m into the air, and lights it up using 22 red, green and blue LED lights. When used in multiples, the effect is just as good, if not better, than what you might see on those big shiny floor shows on TV or at concerts. The Z1520 will add dramatic effects to any performance or show – ranging from the bride and groom’s entrance at a wedding to blasting off in front of a rock band. Antari Z1520 available now at Lightsounds stores or online. Lightsounds – Authorised Antari Dealer for 20 years. Light Emotion is now offering TWO YEAR WARRANTY on it’s core range of products!Want to see the package everybody is talking about?